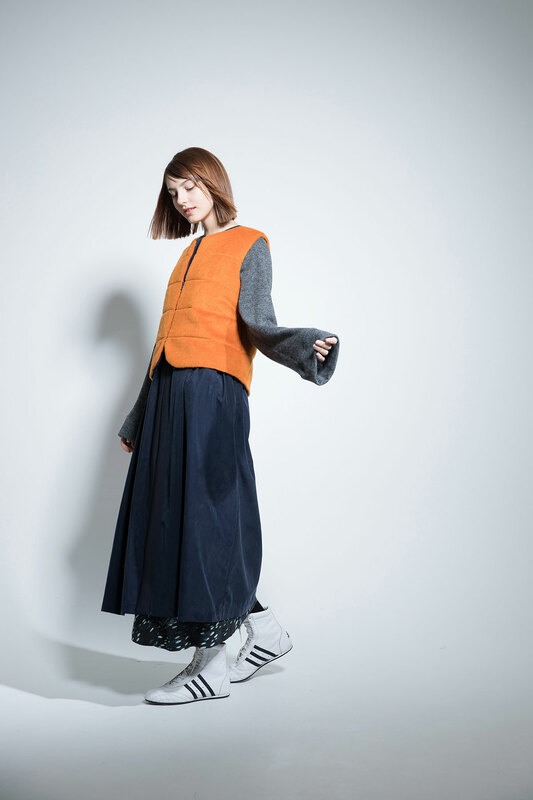 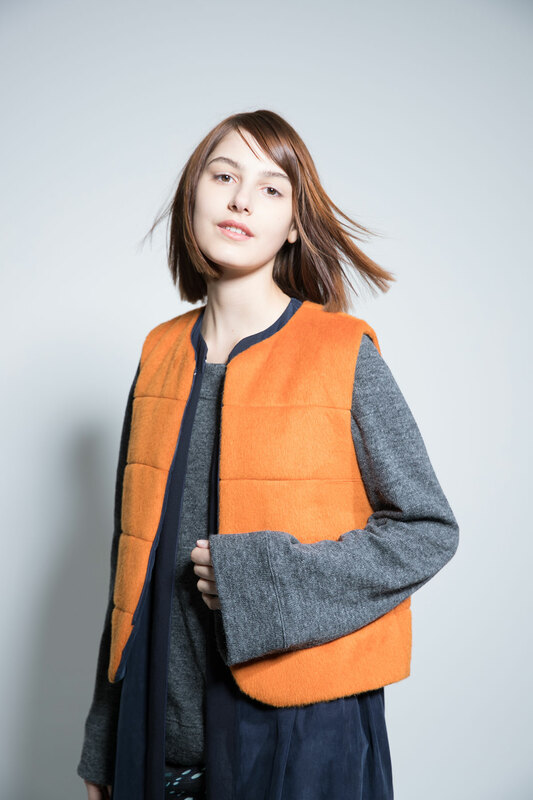 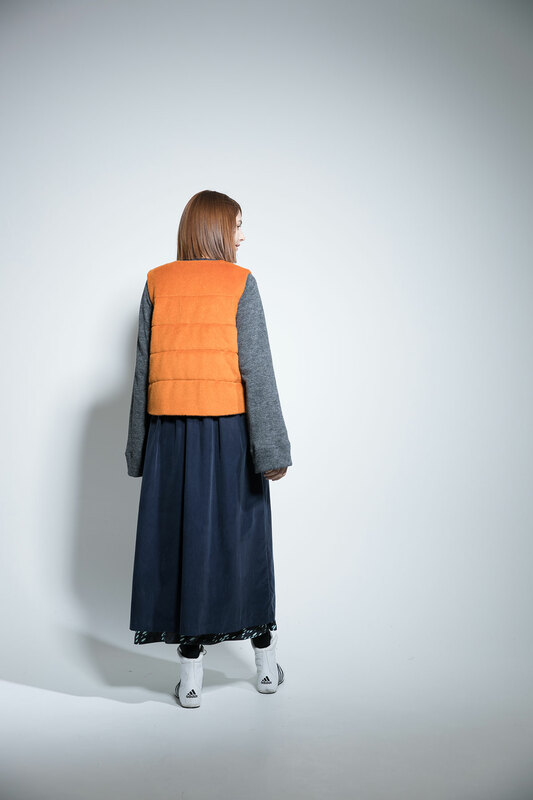 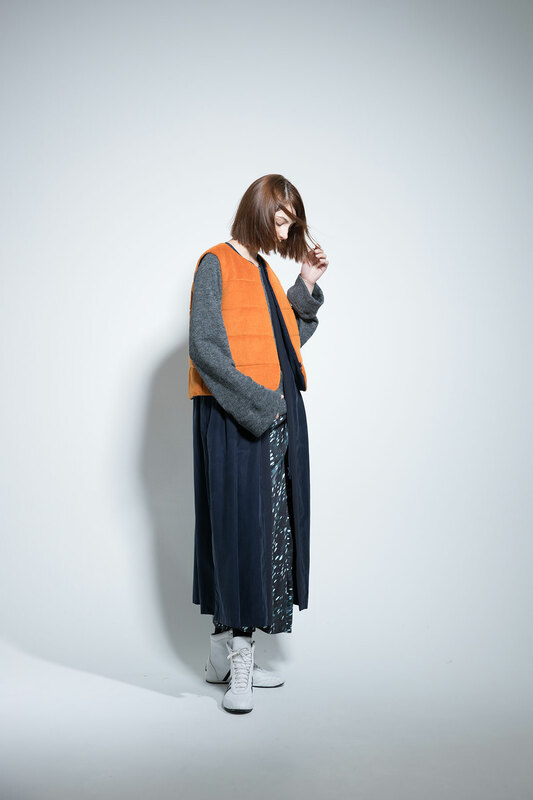 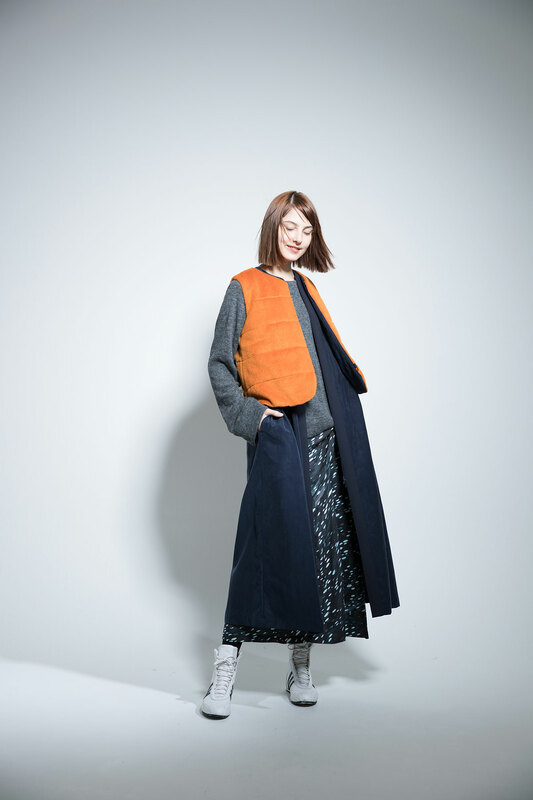 Sleeveless coat in apricot 65% wool/ 20% nylon/ 5% alpaca/ 5% mohair shaggy on the top combined with navy 55% cupra/ 45% cotton poplin (machine washed) on the bottom. 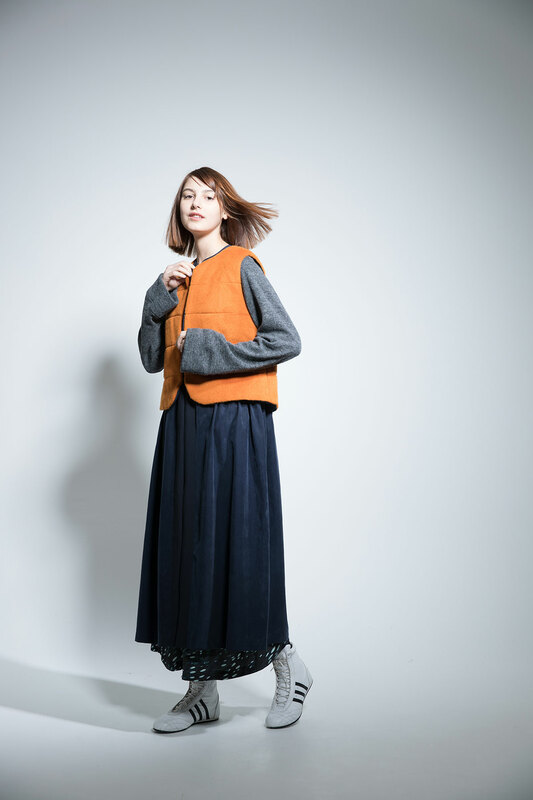 Boat neck sweater in double-faced (100% tercel jersey on back) in mixed light gray 40% wool/ 33% tercel/ 14% nylon /13% angora low-gauge knit. 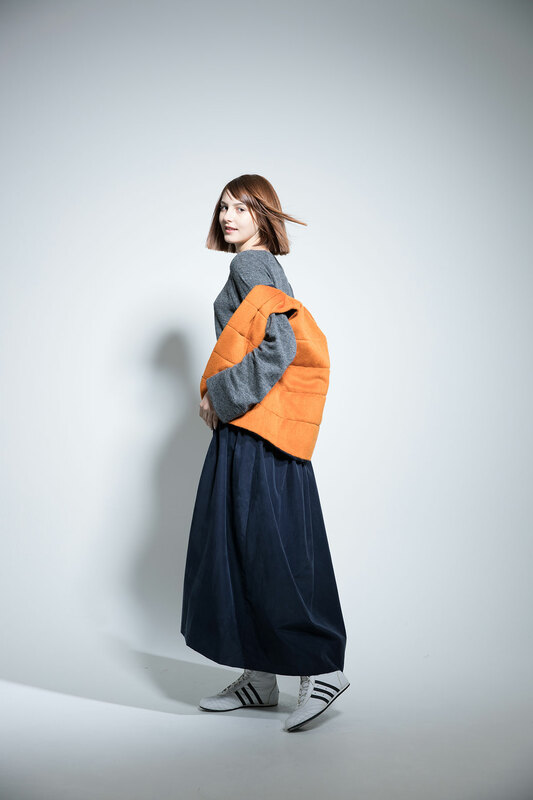 Asymmetrical draped skirt in the “blizzard” print on 90% rayon/10% wool viyella.